Climate change is among the most serious challenges of this and future generations. This was once more highlighted in the outcome document of the Rio+20 conference. Climate change acts as a stress multiplier and exacerbates existing vulnerabilities. It may also trigger events of unknown magnitude that can potentially make current humanitarian capacity ineffective and be a barrier to achieving humanitarian goals. Threats associated with climate change are therefore inseparable from IFRC’s mission of building safer and resilient communities. Strategy 2020 underlines IFRC’s climate change adaptation work through the scale up of disaster risk reduction measures. It also calls for a contribution to climate change mitigation through advocacy and social mobilization to promote sustainable community development. Southeast Asia is expected to be seriously affected by the adverse impacts of climate change since most economies are relying on agriculture and natural resources, particularly water resources, in addition to the region’s coastal systems, and ecosystems. The region is annually affected by climate extremes, particularly floods, droughts and tropical cyclones, while large areas of the region are highly prone to flooding and influenced by monsoons. Such climatic impacts will severely threaten the livelihood of poor people living in rural areas with limited adaptive capacity. The definition recognizes that humans can adjust to past (“actual”) climate change and its impacts, or prepare for projected future (“expected”) climate change and its impacts. 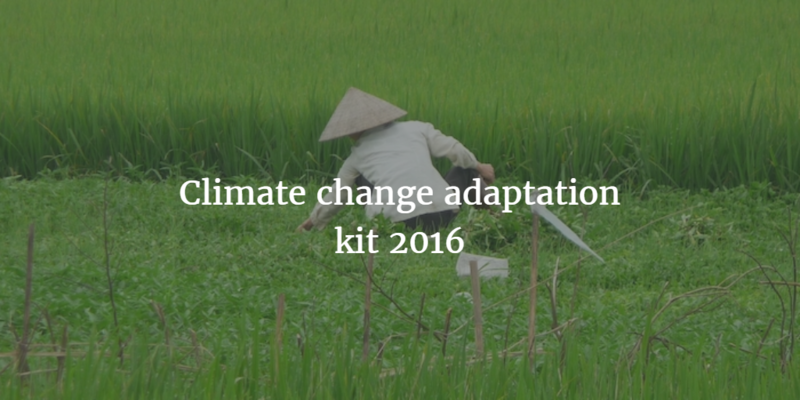 Adaptation can include changes in behaviour, technology, institutions, policies, and other aspects of human systems. Considering and addressing risks associated with disasters and climate change in all processes of policy-making, planning, budgeting, implementation, and monitoring. This entails an analysis of how potential risks and vulnerability could affect the implementation of policies, programmes and projects. Concurrently, it also analyses how these, in turn, could have an impact on vulnerability to hazards. This analysis should lead on to the adoption of appropriate measures to reduce potential risks and vulnerability, where necessary, treating risk reduction and adaptation as an integral part of all programme management processes rather than as an end in itself.